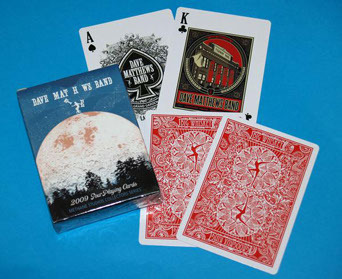 As a supplier of customized and personalized playing cards, we have seen our fair share of awesome ideas. Some clients really go above and beyond with their ideas and create something clever or something beautiful. Here are the 10 best ideas we've seen in a while for playing card decks! The author of Acting with Impact has done it again and made the top ten for 2012-2013. 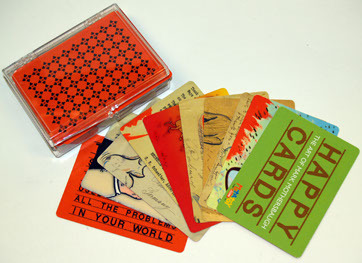 These decks have an emotion printed on each vibrantly colored card along with an explanation of each emotion. 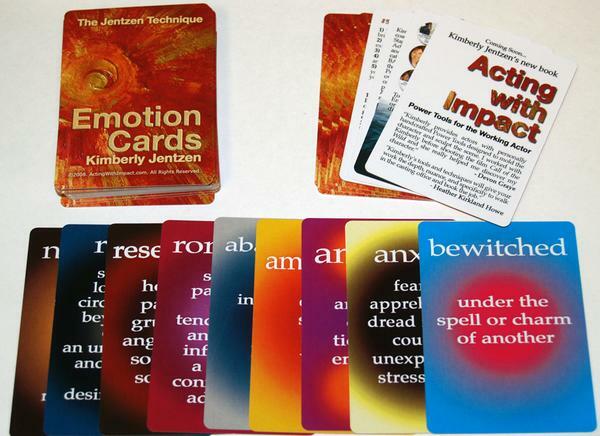 These educational playing card decks come with an instructional booklet explaining all the cool uses for the emotion decks, not the least of which is acting - especially since Kimberly is a prominent acting coach in LA. 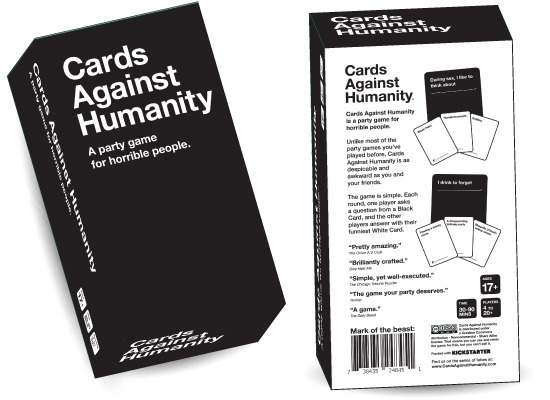 This new game printed at the end of 2012 features multiple card games in one deck. These colorful and fun cards make for hours and hours of game play and we just LOVE the graphics! 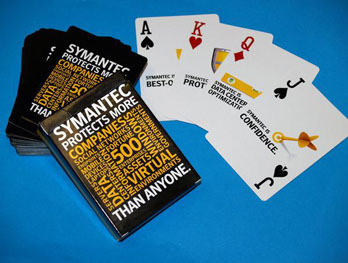 Even the popular anti-virus Symantec guys decided to create their own custom card deck. 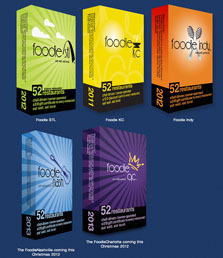 On the face of each card face they list great reasons for going with their product line. Nice color combo of their yellow and black - and very convincing if you ask us! 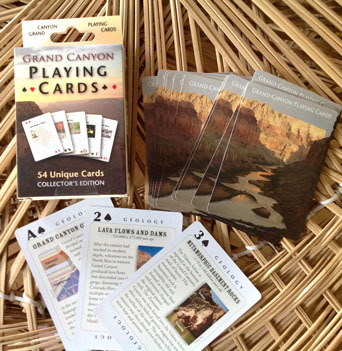 Still one of the most informative decks this is a deck with a classy and interesting educational look (rather 54 looks that is as there is a different view on each face) of the Grand Canyon. Truly this is still the premier deck for anyone traveling in that vicinity. These decks are playing card decks that contain 54 assorted restaurants in them and there are decks popping up for cities all over the USA. Each restaurant featured in the deck offers $10 off a meal - a great bargain - and way better than the coupon books if you ask us. These guys do packaging for some of the most famous cartoon and animated characters in the world - so when they designed their playing card faces - they included the most incredible artwork of everyone from Disney's Princess Belle to the Backyardigans. 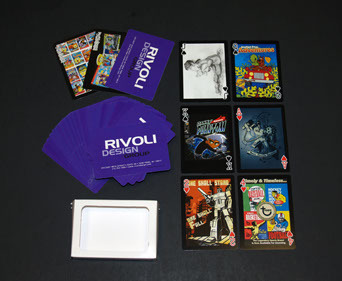 Kids would love it - but it is a portfolio deck and not meant for kids but really to show clients what they can do. This music genius who headed the legendary band Devo in the 80's put one of his art masterpieces on each of the faces of playing cards. It is also a collectible deck and makes a great coffee table conversation piece. Still one of the best ever! But moved down to number 2. They put one of their very cool tour posters from over the years on each face of the card deck. 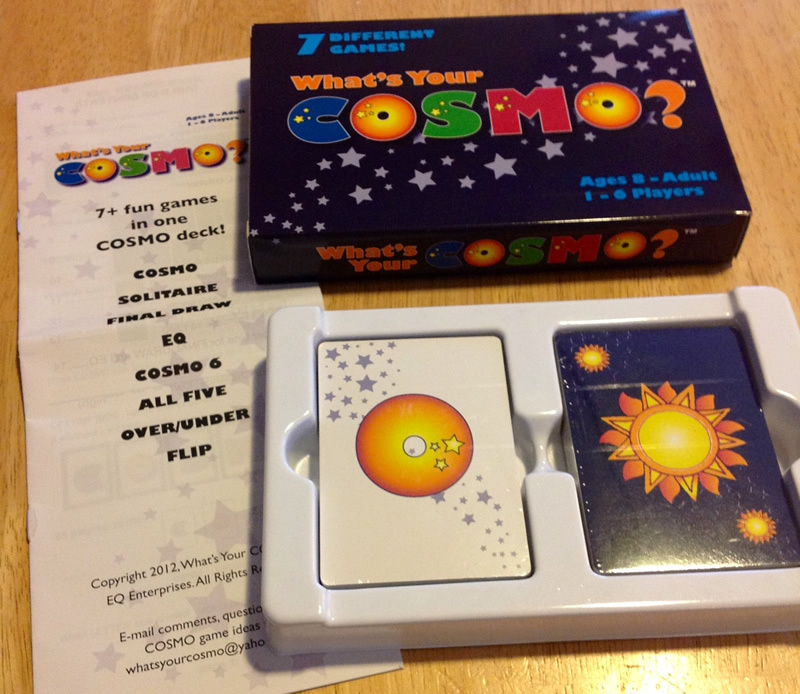 It not only came out beautiful but now the decks are collectors items! Great move and great music! 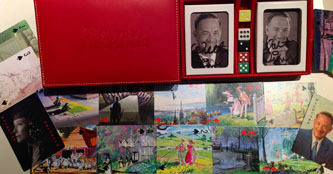 We created decks that have drawings for the original Mary Poppins movie on the faces and pics of Tom as Walt Disney that he gave to the crew of his new movie Saving Mr Banks. We packed them in red leather debossed double boxes and black ones and shipped them out to Hollywood. It was designed and laid out by Ad Magic with Disney art and has to be one of the coolest decks EVER! See for yourself. To promote her new flavor of POP CHIPS, Katy Perry printed decks of playing cards, poker chips and custom boxes printed which were handed out at the Las Vegas gambling type event to publicize the release of the new flavor which is called Kettle Corn. I have yet to locate them in the supermarket - but not for lack of trying. These custom playing cards feature Katy on the face cards and the bag of kettle chips on the card backs and boxes. The chips were full color ceramic and came out exceptionally vivid. They match the playing cards perfectly.